Vitawin has wide range of ayurvedic products forOrthopaedic.Ayurvedic Pain Relief Oil, Capsules, Pain Killer Spray and Ointment Gel, Ayurvedic Oil For Joint Pain Relief, AyurvedicMedicinesFor Joint Pain Relief, Best AyurvedicMedicineFor Rheumatism And Arthritis Joint Pain Relief, Ayurvedic Treatment For Arthritis, Ayurvedic Joints Pain Relief Products. Anti-inflammatory and anti-arthritic Analgesic properties relax muscles and tendons around the joints, thus effecting the pain relief Arrest the osteoporotic degeneration Provides fast symptomatic relief. Useful in sciatica, osterarthritis 8z- lumbago. Eliminates toxins that impact healthe joint function. 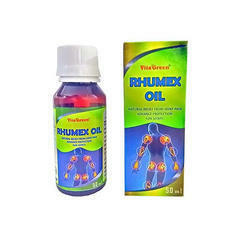 Removes excess vita from the joints nerves and muscles.